Code Used On b. Assembly Instructions. 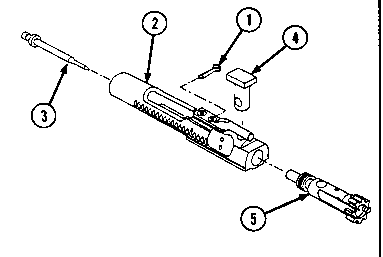 Detailed assembly instructions for items source coded to be assembled from component spare/repair parts are found in chapter 3. Items that make up the assembly are listed immediately following the assembly item entry or reference is made to an applicable figure. c. Index Numbers. Items which have the word BULK in the figure column will have an index number shown in the item number column. This index number is a cross-reference between the National Stock Number/Part Number index and the bulk material list in section II.